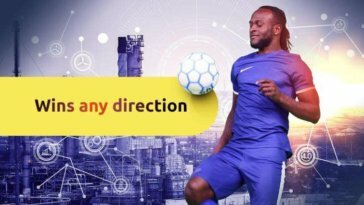 If you haven’t heard of Victor Moses, then you probably aren’t a patriotic Nigerian (apostle must hear of this!) or maybe you have chosen to live in a forest somewhere, without the internet, electricity or money, if so we will be praying for you! From his exploits with Chelsea to his performance for the Super Eagles, Victor has become a household name in Nigerian sports. His accomplishments even exceed the confines of the football field as Victor is known to be quite financially stable outside his day job, as shown by his fleet of expensively assembled cars. 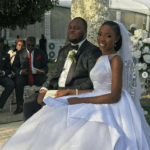 The reason behind his wealth isn’t far-fetched – the talented football star has made smart financial choices, determined as always to score glowing financial goals that outlive him. The good thing is even you too can be a Victor like Moses and it isn’t even that hard. Early this year, Victor Moses announced his partnership with online trading platform Binomo and many have already started earning big on the platform but before you start dreaming about your millions, take a chill pill and hear the full gist. 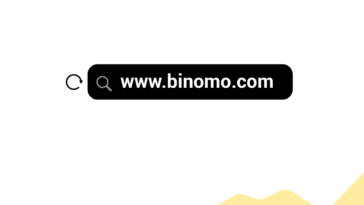 Binomo offers you an online trading opportunity from the comfort of your home, it’s also super easy to use even for first timers (even me sef that I am olodo, I quickly got a hang of it). So if you don’t have legs that work magic with a football, you can earn your financial freedom all from the comfort of your home. You also do not need to sport a head full of dreadlocks, in case you were wondering. You can be bald and still make a fine Victor. So if making money and earning true financial freedom sounds like a good idea, then Binomo is the online trading platform to try out. And you can even get started with as low as 1800 NGN. If that’s not a good deal, i don’t know what is. Binomo provides an intelligent tech platform on which traders can earn on rises or falls in currency exchange rates and prices for shares or commodities around the globe. The broker has developed unique and affordable conditions and options whereby you can earn money making informed choices. What’s more, you can get information on all you need to know about trading on the platform, so that you aren’t just beating the air when you make your financial decisions. No, this is no gamble. It is a legitimate platform poised at improving your lifestyle by allowing you learn, earn and afford the luxury of life you desire, not just for you, but for all the people you care about. Heck, you can even afford to be in all Moses’ live matches around the world when the credit alert starts rolling in. How is that for an upgrade? 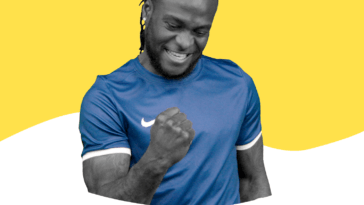 To be a ‘Victor’ like Moses, all you have to do is pick up your phone or computer, sign up on www.binomo.com, and join the league of extraordinary champions making life-changing financial choices.